Jahmali Samuel prepares for the SEA exam. Jahmali Samuel is a fighter. 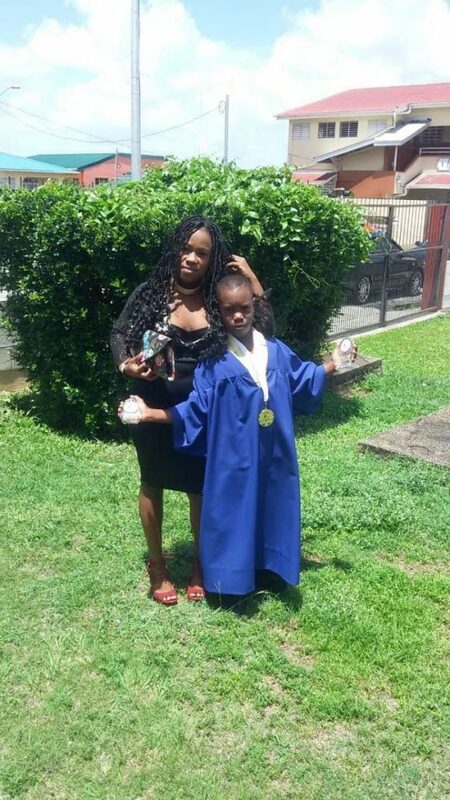 The 12-year-old, a former student of Tunapuna Anglican Primary School has had to overcome more than the academic challenges of preparing for the SEA exam. For him the months leading up to the exam was a literal headache. Jahmali’s mother, Sade Samuel said her son was always a very determined student. “Once he puts his mind to anything, he will do it!” And with his mind set on Trinity College East, he went as far as teaching himself how to tie a tie, which is a part of the school’s uniform. By Jahmali’s standards it is the “best school in the country”. But achieving his goal was not easy. “I used to get headaches so bad, I used to cry,” Jahmali told Newsday Kids. Jahmali Samuel and his mother, Sade, on his graduation day. He recalled coming home after school feeling weary and stressed, which would lead to terrible migraines. And although he does not consider himself an athlete, Jahmali said he always enjoyed football. However, with the mounting school work required of him, he gave that up to focus on his goal of getting into Trinity. His mother was impressed with how hard he worked, but said at times she felt sorry for him. Having to wake up early to attend morning lessons before heading to school, followed by after-school lessons. “He always did well in exams,” she said. “He never had a problem with the academics…but (the lessons) were very challenging. 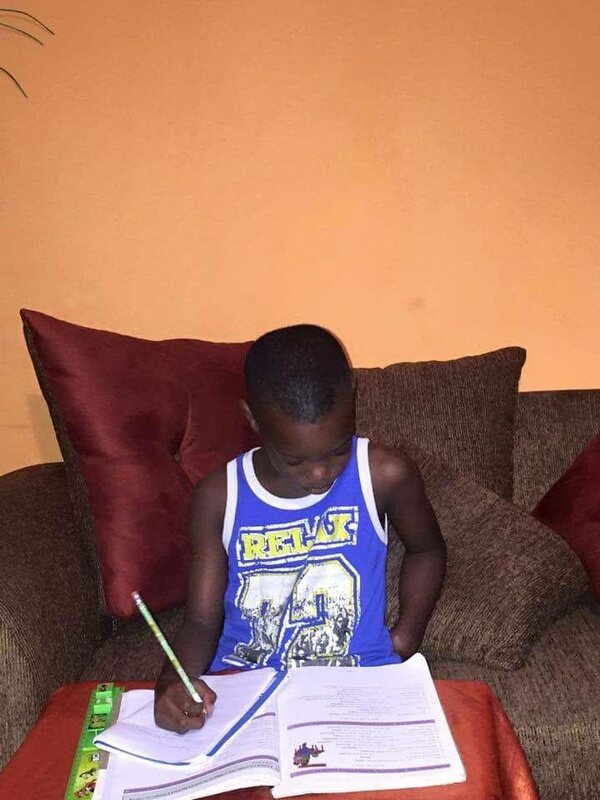 I would always tell him it will all be over soon.” Jahmali said his favourite subject is math. “I like numbers. Language Arts was a challenge for me,” but with the help of his teachers, he was able to understand it. On the day of the exam Jahmali was nervous and at the end of it he admitted “it was challenging”. When the results were released it was a tearful celebration. “He ran down the stairs crying,” Samuel said. “I cried. Everyone cried. Everyone was there to congratulate him. Even the guard!” At his graduation he was presented with the Principal’s Award and the General Proficiency Award. Jahmali said he could not have done it without his village. He said his mother was always a solid source of comfort and support for him during this stage of his life. His uncle advised him on when to work and when to relax. His next door neighbour brought him the SEA practice test published in the newspapers every weekend. “My teachers really tried with me,” he said. “Mr. Morris helped me through lots of things (like) homework,” he said. He credited Charmaine Greaves, his teacher from standards three to five, for supporting him and making lessons “fun”, and explaining everything to him in small doses so that he could understand. Jahmali said the best advice he ever got from one of his teachers was, “Who laughs last, laughs best”, a saying that became a motivator for him, as he said it to himself over and over again in his mind. Jahmali has already begun preparing for his secondary school studies, starting with math, and has already taken a liking to algebra. He plans to be a lawyer someday. “I like helping innocent people,” he said, adding that his dream is to defend all of the innocent people who are locked up behind bars, and bring justice to those that truly deserve it. His advice to children who are preparing for the SEA exam? “Try hard, even though it hurts. It’s really stressful, but if you try hard, you’ll always make it”.